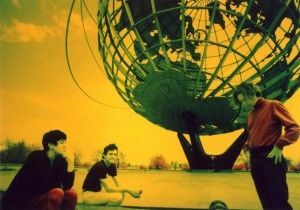 Galaxie 500 celebrated International Workers' Day this year by seizing their means of production -- as of May 1, the group once again controls all rights to its recordings and videos. Physical reissue plans are afoot, but in the meanwhile all Galaxie 500 recordings are now available for digital download from your favorite service such as iTunes, eMusic, or Other Music Digital, and -- for the first time -- payment for such downloads will go directly to the band. We had nothing to lose but our chains! The update also includes news of an event celebrating the 20th Anniversary of the couple's Exact Change publishing imprint. The show takes place on the 23rd of June at Issue Project Room in Brooklyn NY.